LOMBARD, ILLINOIS ORIOLES WINS THE BATTLE OF THE BIRDS OVER BRUNSWICK, MARYLAND ORIOLES. 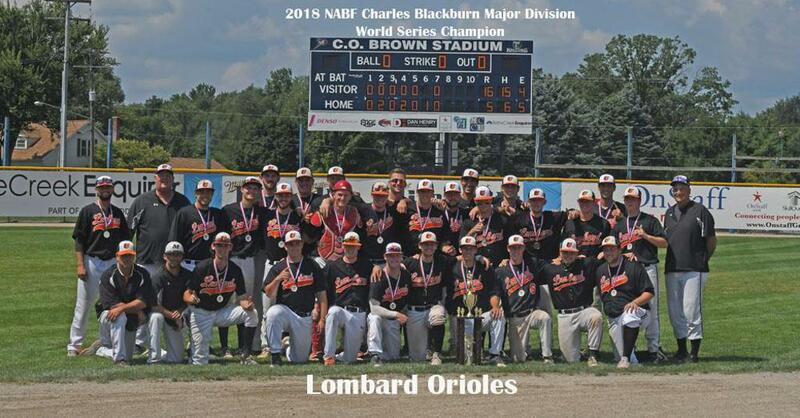 In one of the most historical events ever seen in the 105 years of baseball in the NABF , the Lombard, Illinois Orioles delivered sixteen (16) runs in their 6th inning of the Championship Game. The final score of 16-5 allowed Lombard to win the National Championship under the mercy rule. ©2019 Battle Creek World Series / SportsEngine. All Rights Reserved.